Located on the site of a former children’s camp where the owner spent several summers as a child, this home was conceived as a retreat for an extended family. Seeking respite from their professional lives in Chicago they commissioned a four season “lodge” to be constructed in place of an original camp cabin they had occupied during the summer for many years. This new home would accompany the other remaining cabin on the hillside site overlooking Pleasant Lake and the White Mountains. 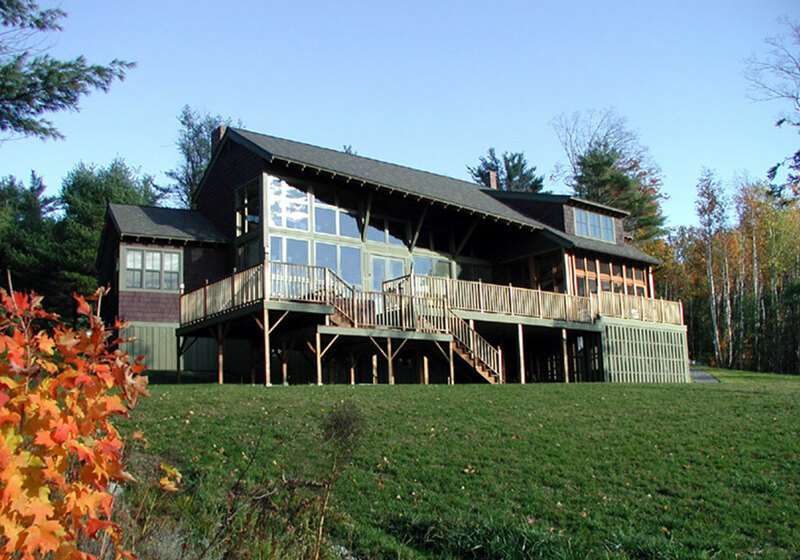 Taking cues from traditional camp structures, this moderately scaled home of 4,000 s.f. incorporates both natural wood and local stone. 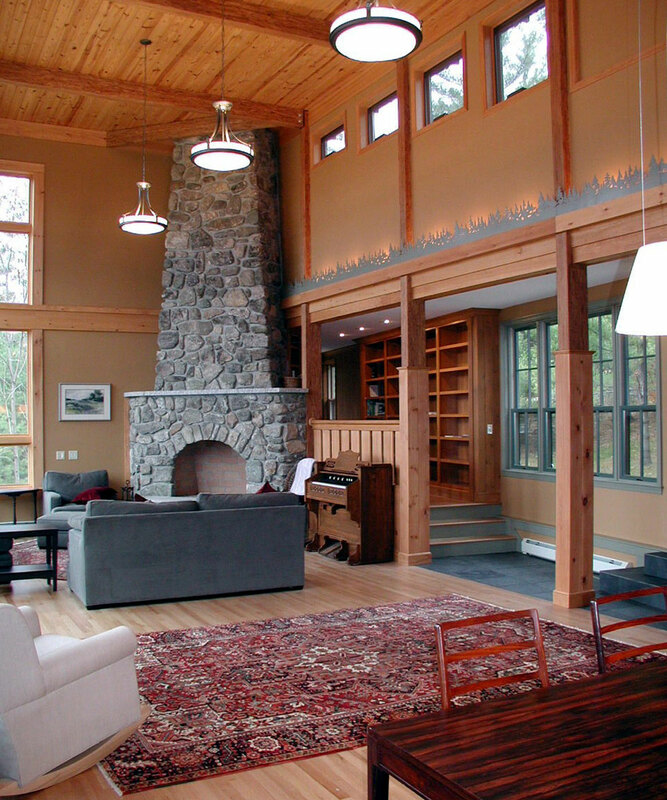 The center of the house is two-story space with a 16 foot high glass wall and field stone fireplace. A Cove lighting illuminates the upper portion of the walls from behind a profile of carved wood trees. 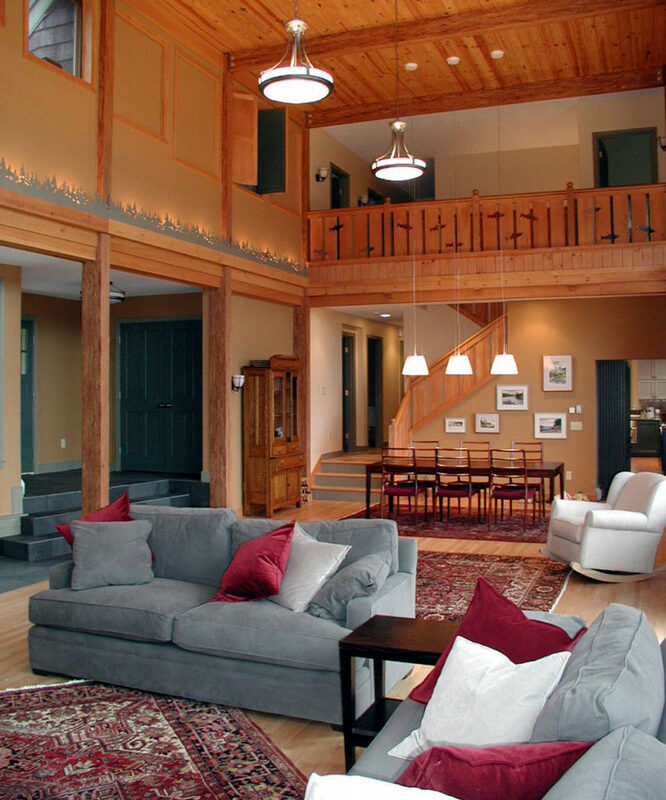 The stair and balcony railing features cutouts of salmon as the owner is an avid fly fisherman. A wood paneled library located around the corner from the main room is a secluded space offering refuge to those seeking quiet time away from the more active spaces. An expansive deck and generous screened porch provide ample space for gatherings of family and friends outdoors. 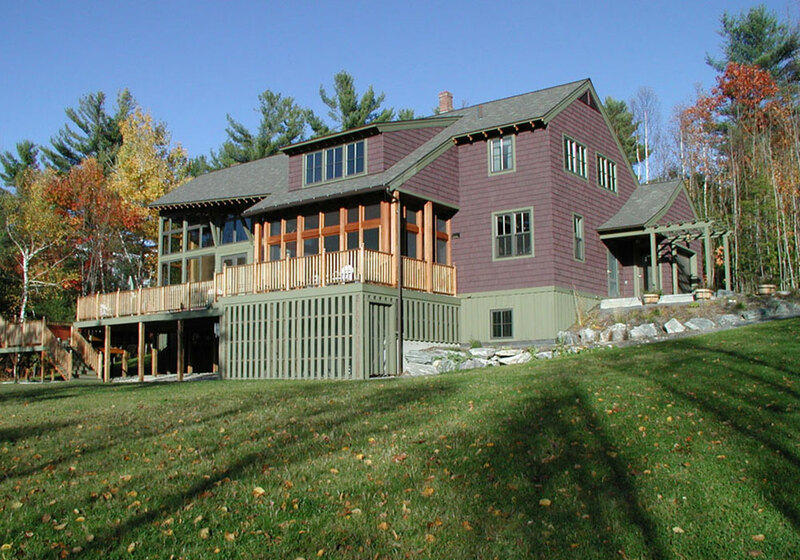 A unique combination of form, materials, and colors complements the natural surroundings while adding to the charm of this Maine retreat.